Essential oils often induce thoughts of scented candles and day spas, but their advantages extend well past relaxation. Essential oils are simply plant extracts. They are quite useful in a number of areas and can be found in cleaning and personal care products and are the primary ingredient in some pest-control products and several over-the-counter medications. They’ve worked within the food industry because of their preservative effectiveness against food-borne pathogens – thanks to their antimicrobial, antibacterial, and antifungal properties. Various oils have also been shown to effectively treat a wide range of common health issues such as nausea and migraines, and a rapidly growing body of research is finding that they are powerful enough to kill human cancer cells of the breast, colon, mouth, skin, and more. They are amazing yet, unfortunately, are often dismissed as new age pseudo-science or dismissed altogether. Essential oils can assist in changing our physical, mental and emotional well-being by activating and consolidating our bodies’ own natural chemistry. They are made up of minuscule particles that can distribute curative properties to the systems that control our physiological state. The preferred methods for the body to absorb the therapeutic benefits of essential oils is a combination of inhalation through the nose and absorption through the surface of the skin. Essential oils are becoming more popular when it comes to the ingestion of them. Because they possess such volatile properties, should you choose to ingest them, it is imperative that you use therapeutic-grade oils to ensure proper potency and reduce the risk of throat irritation. Essential oils are used for just about everything and have been throughout time, but what some people fail to realize is the level of effectiveness they offer those of us who suffer from acid reflux, GERD, indigestion, heartburn, and other digestive issues. When you suffer from gastrointestinal ailments, you find that your whole existence is turned upside down. You have to be careful where you go, what you eat and drink, and if you can make it back home in time to avoid a painful or embarrassing situation. When these issues first came up, they were few and far between. Then they happened more and more. Then they became common. Now it is just a fact of your life. First, you started out with an antacid tablet, then two, then four, and then the next thing you know, you’re going through a roll a day. Modern medicine finally caught up and offered some temporary relief, only to be traded with side effects that are sometimes even worse. You’ve resigned yourself to the fact that you are to spend a large portion of your remaining years in discomfort. This does not have to be the case. Throughout history, people have relied upon essential oils to offer much-needed relief for a variety of ailments, some being acid reflux and its accompanying symptoms. 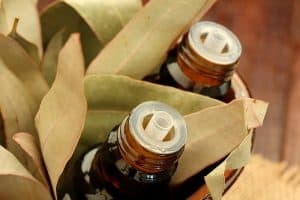 Inhalation and topical application have been the go-to methods to experience their healing properties but for several ailments, in particular, digestive issues related to acid reflux, GERD, indigestion, heartburn, and more, we are finding healthy relief through the ingestion of certain essential oils. 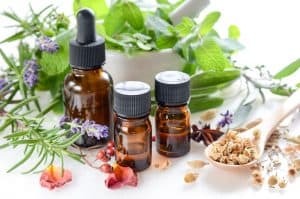 When administered properly, research has shown that essential oils can be just as effective, if not more so, than traditional over the counter and prescription medication. As an added bonus, they are comprised of all-natural components that offer little chance of harmful side effects. Lavender oil comes to mind for those that are thinking of purchasing lotion or face wash, but it has been a staple in the essential oil therapeutic world for a very long time due to it gentle and comforting features. This has made it a go-to choice when people are searching for all-natural stress relief. Its calming features extend further than just encouraging a restful night’s sleep. It is also considered one of the top all-natural essential oils for combating acid reflux, GERD, and their symptoms. Lavender oil is very versatile, not only in its applications but in the way it can be administered to those suffering from acid reflux. With its natural calming properties, this essential oil relaxes the muscles to discourage cramping and promoting sleep over staying awake in discomfort. Lavender is a very adaptable tool to efficiently contest symptoms related to acid reflux. If you are searching for an overall comforting experience, mix 3-4 drops in a steam diffuser or apply directly into a warm bath. If you are fighting to get to sleep due to the pain of digestive issues, a powerful solution is to add a few drops of lavender essential oil to a spray bottle mixed with water. Lightly spray your pillows and sheets for a good night’s sleep. If you are experiencing chest pain and bloating, dilute the essential lavender oil with a carrier oil, such as almond, jojoba, or the popular coconut oil. Then rub the mixture directly on your chest and stomach for quick relief. To discourage acid reflux entirely, apply a drop of therapeutic-grade lavender oil to the back of your tongue or mix with hot water or hot tea. For optimal results, consume your hot beverage directly after eating to increase the digestive process. Lemon oil is recognized for its antibacterial, anti-inflammatory, and antioxidant properties. In addition to its powerful therapeutic characteristics, it also smells and tastes wonderful. This essential oil can abolish bead bacteria and encourages the production of mucus which serves as a natural defense against acid reflux. Proper mucus production can soothe the symptoms of acid reflux and GERD along with deterring the risk of developing stomach ulcers over time. Once lemon oil has been processed in your body, it becomes alkaline in nature. This new component neutralizes your excess stomach acid and provides comforting relief. 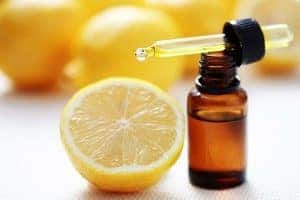 In addition to this beneficial effect, essential lemon oil can detoxify the body and cleanse it of excess acid and promote a healthy digestive system. Lemon oil offers multiple methods of application, especially inhalation and consumption. The most popular and effective method is to add 3-5 drops to a diffuser and inhale the invigorating and elevating aroma. Another effective method is to add 1-2 drops to a glass of water. Drinking this beverage throughout the day encourages optimal digestive performance. You should also be adding lemon oil to any other beverage you can, such as ice teas and club sodas. Its flavor translates well in a multitude of drinks. Essential lemon oil is not just for cold beverages. By adding a drop or two to warm water or herbal teas, you are preparing your digestive system to better digest incoming food. This discourages heartburn and bloating. For fast relief, place 1-2 drops directly on your tongue. Ginger is yet another essential oil with a fruitful history of combating digestive issues. This popular ingredient has been an integral component of digestive teas and tinctures for centuries due to its ability to deter the production of acid and deter the progress of destructive bacteria. It is often employed as a natural therapy for ailments such as gas, motion sickness, nausea, and more. If you are suffering from acid reflux and any of its accompanying symptoms, ginger oil is a preferred remedy for many. Like lemon oil, ginger oil is a powerful solution for the lessening and deterrence of stomach ulcers. Research has also proved it to be a compelling remedy for the restlessness associated with GERD. 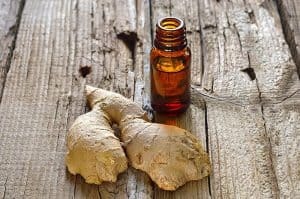 Like many essential oils, ginger oil can be utilized in combination with a diffuser to help pacify queasiness and even dissuade feelings of nervousness. It also performs exceptionally well used as a topical solution. When diluted with a carrier oil, such as almond or coconut, it can be a powerful treatment for bloating and cramps when applied directly to the affected areas. Ginger oil mixed with herbal tea or even hot water creates a calming and hearty beverage. Just stir 2-4 drops of oil into hot water or your favorite tea and consume 20-30 minutes before meals for best results. Through periodic use, ginger oil will help your body to prevent heartburn and its accompanying symptoms, all while promoting a healthy digestive system. Organic peppermint oil checks all the boxes when it comes to effective essential oils. Its anti-inflammatory, antiseptic, and anti-spasmodic properties are second to none. In addition, this wonderful oil smells and tastes great! With this flexibility, peppermint oil can be utilized to improve numerous symptoms, including heartburn, nausea, bloating, and stomach pain, all while encouraging all-around health. When used as a topical solution, its cooling and tingling characteristics can assist as a natural muscle relaxer, making it a sufficient treatment against cramping and symptoms due to excess gas. 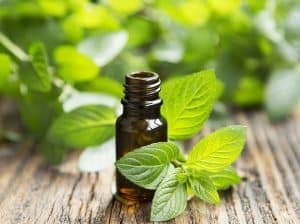 Peppermint oil is powerful and it is crucial that you are cognizant of it potency. Peppermint essential oil has a tendency to be more potent than other essential oil. Because of this fact, it is imperative that you use care when administering this essential oil. If you decide that its use as a topical solution is the best course for your symptoms, it is highly recommended that you mix it with liberal amounts of your preferred cattier oil. Too much peppermint oil, on the other hand, can actually create heartburn. Again, moderation is key when using this product. For quick relief, apply the diluted peppermint oil, along with your favorite carrier oil, to your stomach, chest, and neck. Another popular blend is to add one drop of peppermint oil, mixed with ½ teaspoon of organic apple cider vinegar, and one teaspoon of honey to a cup of warm water. As the name implies, the orange essential oil is derived from oranges, one of the oldest fruits in the world. Some people believe that oranges and citrus fruits, in general, contain properties that offered health benefits, so it didn’t take long for oranges to gain popularity. Orange essential oil can be used to help with acid reflux because it can prevent muscle spasms attributed to acid reflux and GERD. 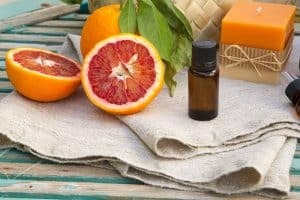 One of the benefits of orange essential oil is that it can be used in many ways, whether its internally, topically, or aromatically. It’s a great and tasty addition to any drink after dinner and will work to improve digestion and decrease your chance of acid reflux. Similar to peppermint oil, consume sparingly as consuming too much orange essential oil has been shown to encourage heartburn. When done in moderation though, it can be quite effective. Take four drops and mix with one teaspoon of your favorite carrier and apply directly to the chest and stomach for fast-acting relief. Eucalyptus is a potent essential oil that has shown to be helpful in the deterring acid reflux and its symptoms. This essential oil is quite potent and should be used with great care. Eucalyptus essential oil is especially effective when used topically in conjunction with a carrier oil and additional essential oils. Combine 2 drops of Eucalyptus essential oil, 3 drops of peppermint essential oil, and one teaspoon of carrier oil together. Rub the mixture over the chest and lower neck area and massage the area for several minutes. Nature has given us much of what we need to thrive as a species. Antacids and heartburn relief pills are a fairly new occurrence in the scheme of things. With this shift to modern medicine, we find we are dealing with unintended consequences. Acid reflux is traditionally treated with proton pump inhibitors. While these synthetic inhibitors are very effective at reducing heartburn, they have also been linked to bone loss and vitamin B12 deficiency when taken consistently. Essential oils for treating GERD, acid reflux, heartburn, and additional digestive issues, are relatively harmless – if proper protocol is followed – and highly effective. In combination with a healthy lifestyle, smart choices, and not too many bad habits, organic essential oils can offer much-needed relief for your pain and discomfort.